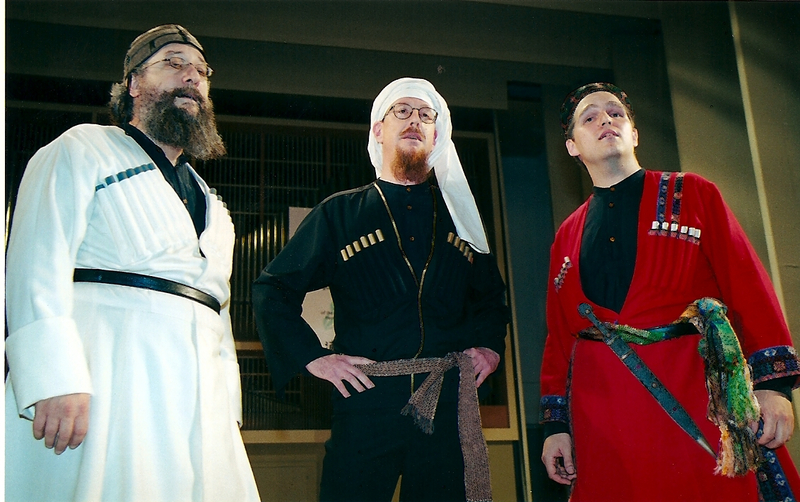 A Trio (Alan Gasser, Stuart Gelzer, and Carl Linich) Performing Traditional Vocal Music from the Republic of Georgia. 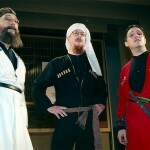 KAVKASIA (meaning “Caucasus”) consists of three Americans who together have more than forty years of experience singing the traditionalusic of Georgia. In 1994 we formed a professional vocal trio dedicated to studying and performing that music. In the years since then, we have performed everywhere from Lincoln Center to the Tbilisi Opera House. In April 2004 Kavkasia was on tour in New England, performing six concerts: at Williams College, Williamstown, MA; Bennington College, Bennington, VT; Dartmouth College, Hanover, NH; Saxtons River, VT; Columbia University, New York, NY; and Marlboro, NY. In August 2004 Kavkasia performed its Tenth Anniversary Concert at the Church of the Holy Trinity, in Toronto. The same week, Kavkasia taught a six-day intensive workshop on Georgian singing at the Royal Conservatory of Music, in Toronto. In October 2006 Kavkasia performed in Fredericksburg, Virginia: a workshop at Chancellor High School; a concert and a workshop at the University of Mary Washington; and a concert on the Acoustic Roots series at the Liberty Town Arts Workshop. In January 2007 Kavkasia performed in Toronto: January 13: concert at the Church of the Holy Trinity presented by Small World Music and the Church of the Holy Trinity and January 14 York University Recital Hall. In late January 2007 Kavkasia performed in the Bay Area with the women’s vocal ensemble Kitka: January 26 at St. John’s Church in San Francisco; January 27 at Holy Cross Church in Santa Cruz; January 28 at the First Unitarian Church in Oakland. This entry was posted on Friday, July 25th, 2014 at 1:11 pm	and is filed under Folk, Georgian Music. You can follow any responses to this entry through the RSS 2.0 feed. Both comments and pings are currently closed.